We are drawing closer and closer to the end of the alphabet. 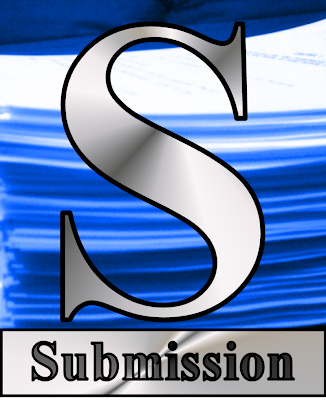 For this Thursday, I proudly present the letter "S."
That's what a submission represents. When you've reached this point, you've polished that story/novel/poem into a fine piece of work. You've shown it to others and they've passed judgment on the writing. Maybe you've gone back to the drawing board or done some major tweaking. Now, you're ready to unleash the work into the wild frontier that is the submission process. Thankfully, every publication has the exact same submission policies (yes, that's a dirty lie). This work you've spent so much time on is now ready to go "out there." Because it can never get published by anyone until you send it out.